Come boat with us! 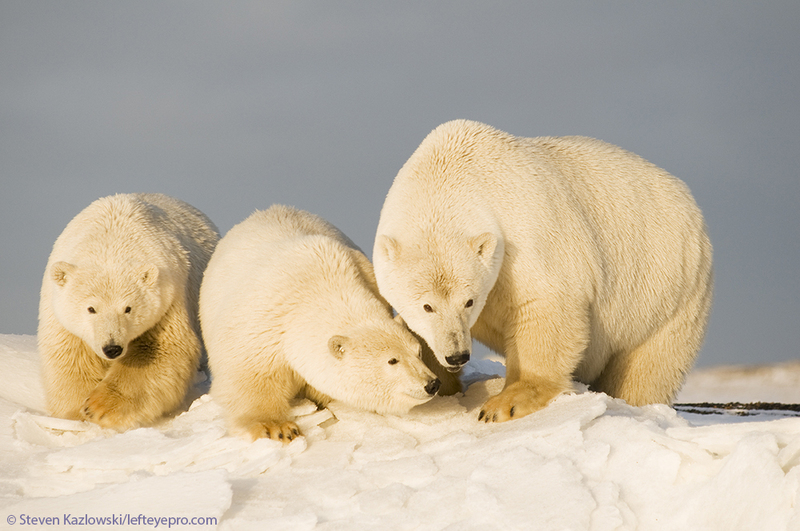 See, enjoy and photograph polar bears in Alaska with a local Inupiaq guide and his long time friend and partner – a naturalist and professional wildlife photographer. They have over 20 years experience with the bears. 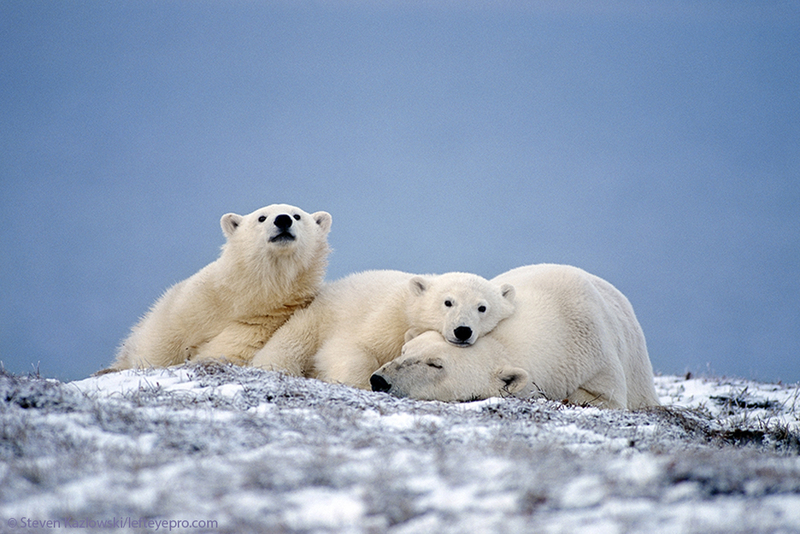 We run 4-hour polar bear viewing boat tours and all-inclusive photography tours from August 14th through October 22nd. Once reaching Barter Island from Fairbanks or Prudhoe Bay, it’s a short ride to the boat from your hotel. After boarding the boat, you will reach the bears in a protected lagoon for a trip of a lifetime! 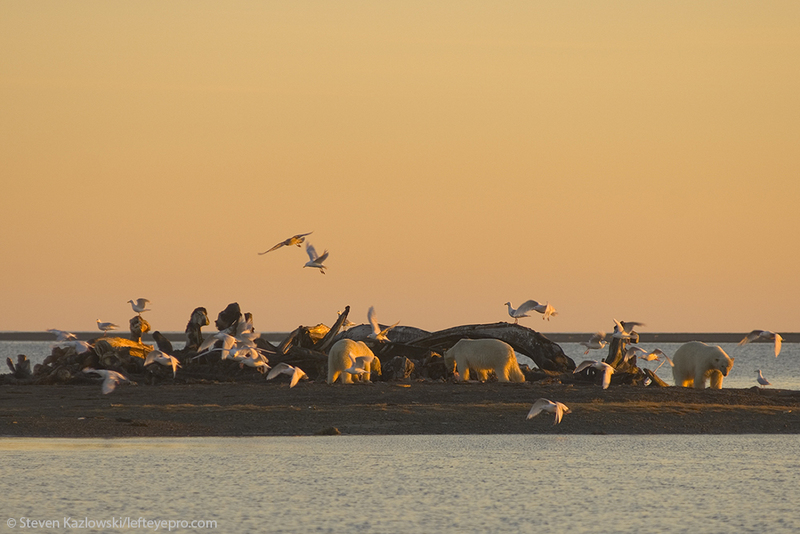 Every autumn polar bears gather along barrier islands just off Barter Island and the Inupiaq village of Kaktovik, as they wait for freeze up in the Beaufort Sea, so they can head out onto the sea ice to hunt their favorite prey the Ringed seal. This is a unique experience to view and photograph polar bears in their natural habitat by boat with expert guides and naturalists. Akook Arctic Adventures is owned by local Inupiat Jack Kayotuk, who grew up traveling and living on and along the arctic land and sea. Jack has partnered with Steven Kazlowski of Left Eye Productions, Inc., a trained marine biologist, naturalist and professional wildlife photographer who has been photographing polar bears in the Alaskan arctic for over 20 years. Together they offer you an opportunity of a lifetime! 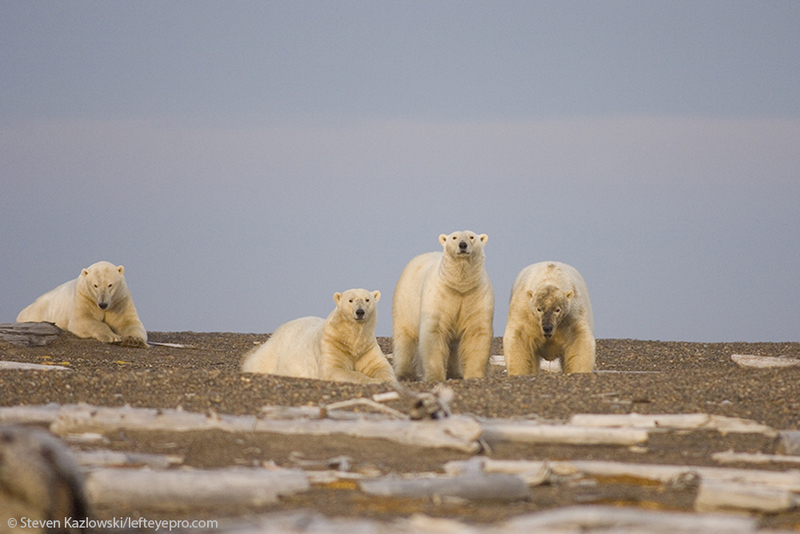 If you want to know the biology of the polar bears and the effects of changing sea ice conditions in the arctic, those are another reason to choose Akook Arctic Adventures. Jack and Steve started their work together over two decades ago, to create awareness on the plight of the polar bear, other arctic wildlife and their environment that are undergoing rapid change. Outreach has been created in the form of museum exhibits, publications, and educational presentations. Whether you are an adventurer or a photographer, come have a safe unforgettable experience with the majestic polar bear. Akook Arctic Adventures offers the true Alaskan arctic educational experience.